The land of the Pharaohs, Sphinxes and pyramids, Egypt is steeped in ancient history and is a country which has a claim to the term cradle of civilisation. Having been at the forefront of architecture, literature and religion for thousands of years, there is a huge amount to see and experience. 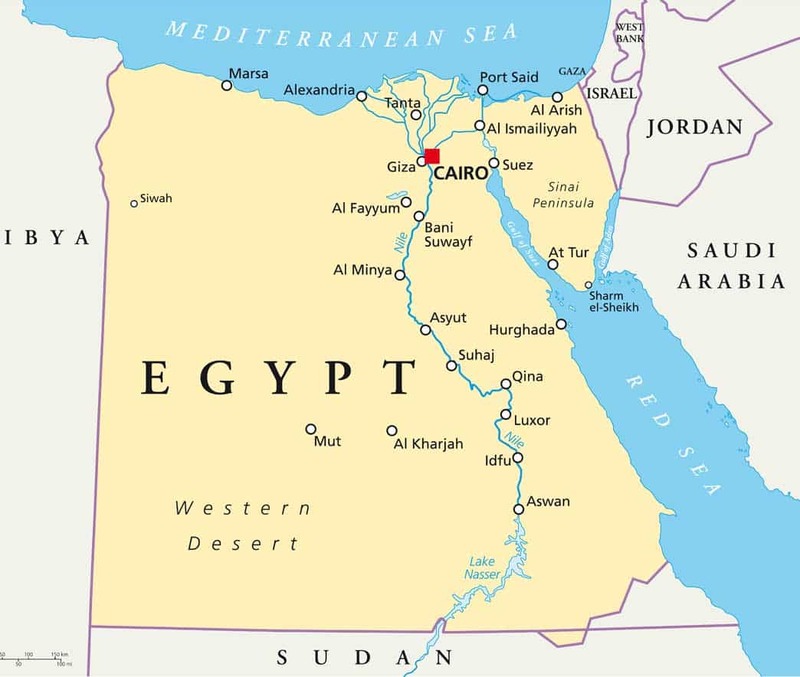 An Egyptian holiday allows you to combine culture, cruising and the beach; enjoy a relaxing cruise down the Nile, combined with stops at ancient monuments and bustling cities, and finish it off with a few days relaxing and maybe diving at resort on the Red Sea. Spend some time in Egypt’s capital Cairo – visiting some of the grand mosques and museums of antiquities. Visit the Coptic Area for something completely different, with its famous “Hanging Church”. See some Sufi dancers performing their colourful displays, try some of the street food, like felfela or falafel. Then step aboard a dhow and leave Cairo behind as you float down the evocative Nile. Over half of the population lives on the fertile banks of the River Nile and taking a cruise on a traditional dhow is an excellent way to see traditional life pass by. A popular route takes you from Cairo down to Aswan stopping along the way at the many historical points of interest, including Giza where you will explore the iconic pyramids, whose construction thousands of years ago defy explanation, and Luxor, considered one of the world’s greatest open air museums. For a beach holiday, the Red Sea offers magical diving and beautiful beaches, the highlight being the Ras Muhammed National Park. This was the first national park in Egypt. It is well maintained and it aims to preserve the stunning coral reefs off its shores, and is well worth a visit. Water temperatures remain a fairly constant 22C the whole year round, perfect for diving and snorkelling.